Every parent knows that come Saturday morning, their kids will be asking for the hottest new toy, the fun new cereal, and to go to the drive thru for the kid’s meal that comes with the must-have collectible action figure. And parents know this because Saturday morning cartoons are littered with company advertisements aimed at their target audience, their captive audience: children. Research points in many directions when it comes to the effectiveness of these ad strategies, especially when it comes to the sway the fast food and junk food companies have over our purchases. Many don’t believe that unhealthy food should be promoted to children. Others don’t think it has any effect. Recently a Canadian study was revisited to see what kind of effect advertising has on our purchases. There was a complete ban on junk food advertising in the Canadian province of Quebec from 1984 to 1992. Evidence found that the ban reduced fast food expenses by 13 percent per week. That equaled up to 11 million to 22 million fewer fast food meals eaten per year. All that further added up to 2.2 billion to 4.4 billion fewer calories consumed by children. Those are significant numbers. Those from the University of Illinois who researched this study believe that if the U.S. as a whole banned such advertising, the results would be similar. A few cultural changes would have to be accounted for though. The data from the Canadian study is from the 1980s and 90s. 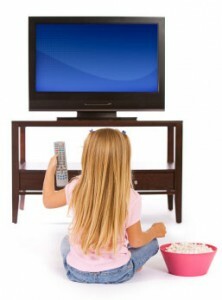 Children actually spend less time watching TV now as they spend more time online. Video games and online activities have advertisements of their own. There are some hurdles to jump as options for proposals are considered. In the meantime, there is a U.S. policy that is being revisited in the midst of all this. It is a voluntary agreement for some large food companies to limit advertising to children. Opposing lobbyisst are denying that advertising to kids even works, however about $11 billion per year is spent on advertising to American children. If it doesn’t work, why are companies spending billions of dollars?